People tend to get a bit worked up about tips for [insert forthcoming year]/bands to watch, especially when the BBC Sound Of poll appears. For the most part, I quite enjoy it, and being invited to take part in the BBC Sound Of 2010 poll has probably been the pinnacle of my blogging career. For those looking for a variation on the theme, you can find the second annual Blog Sound Of 2013 longlist below. You may remember's last year's poll, the Blog Sound Of 2012, which saw Friends crowned the winners. Not my choice but that's the innate nature of this type of thing. Alt-J did however make our longlist, and not the BBC's, and went on to do some alright things in 2012. This year, 49 UK blog(ger)s have come together offering their top tips for 2013 - based on the same rules as the BBC Sound Of poll, no artist being able to qualify with a UK top 20 single or album. There are no guidelines in either poll regarding the meaning of the "tips", these could be acts you think will succeed or acts you want to succeed. Or both. I've tried to deconstruct the negativity of the BBC Sound Of poll in the past, and probably failed. I imagine our blogger poll is in line for similar criticism, just at a less significant level. Have we been taken in by marketing and PR? Will any of our choices be successful? What constitutes success? There are no right (or wrong) answers to these questions. (Although there are right and wrong choices. 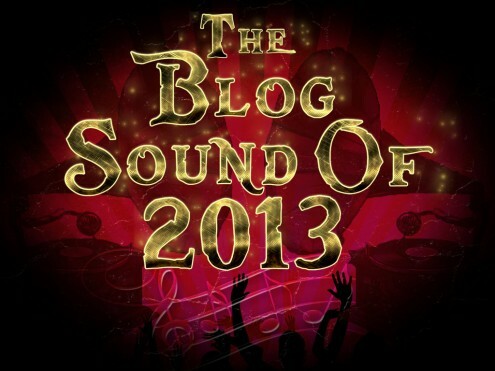 Where's BASTILLE in Blog Sound Of 2013 poll?! Madness. I jest, obviously.) The point is that these types of poll generate debate and interest in music, which I generally see as a good thing. I've put together a YouTube and Spotify playlist for the list. Three of our choices made the list (Daughter, Haim, and Palma Violets) with BASTILLE and Peace not making the cut. We'll have to see who gets through the next round. For now, all I can suggest you do is to go listen to some of these acts and possibly fall in love with your new favourite band. 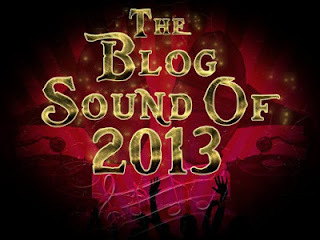 The Blog Sound Of 2013 poll shortlist and winner will be announced on 3 Jan 2013. With special thanks to Robin Breaking More Waves and Andy Von Pip.